The institutional clamour for Jean-Michel Basquiat continues apace with the announcement of a major show of the late US artist’s works at the Fondation Louis Vuitton in Paris next autumn. The high-profile show (3 October-14 January 2019) coincides with an exhibition dedicated to the Austrian expressionist Egon Schiele. 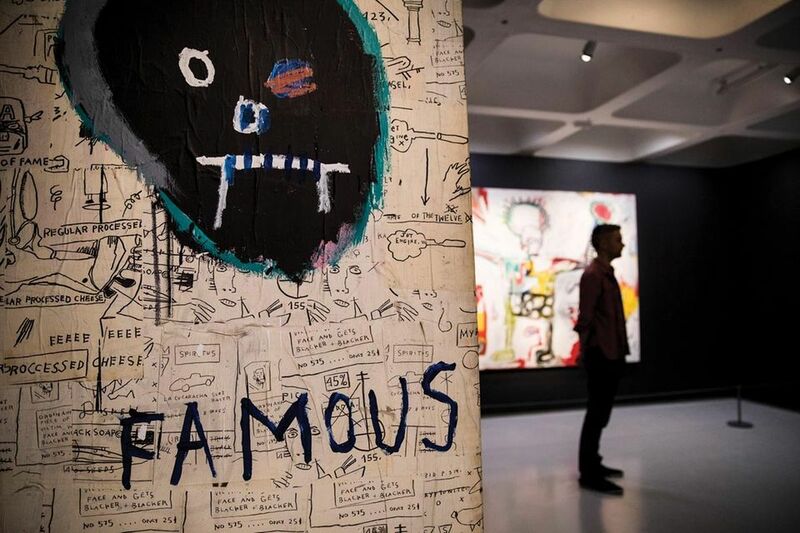 The Basquiat exhibition, to be staged over four floors, is due to include around 100 works including Obnoxious Liberals (1982) on loan from the Broad Art Foundation in Los Angeles, and In Italian (1983) which will be lent by the Connecticut-based Brant Foundation. The new show fuels the Basquiat bonanza; the exhibition Boom for Real, currently at the Barbican Art Gallery in London (until 28 January), is due to travel to the Schirn Kunsthalle Frankfurt next year (16 February-27 May). The Schiele show, which will fill the first floor of the Frank Gehry-designed building, will comprise around 80 drawings, watercolours and paintings including Self-Portrait with Chinese Lantern Plant (1912) borrowed from the Leopold Museum in Vienna. “Although distinct from one another, the two exhibitions allow the simultaneous contemplation of two sensational bodies of work. The existential nature of Schiele’s lines, like Basquiat’s, is one of the main themes raised by Dieter Buchhart, curator of the two exhibitions,” a press statement says. Meanwhile, the spring blockbuster show at the Fondation—L’Artiste, créateur de mondes (10 April-27 August)—will present works by 25 international artists “in two complementary sequences”. The first sequence will be given over to the Japanese artist Takashi Murakami while the second phase will be split into three parts: Irradiances, featuring works by Matthew Barney, Christian Boltanski, Mark Bradford, and Trisha Donnelly); Là, infiniment…(Here, infinitely…) L’Homme qui chavire,, encompassing Henri Matisse, Philippe Parreno and Kiki Smith. The future programme should keep the private museum, which was opened by the luxury goods billionaire Bernard Arnault in 2014, on the art map and bolster visitor figures. The exhibition Icons of Modern Art: the Shchukin Collection, which ended there in February, drew more than 1.2 million visitors.